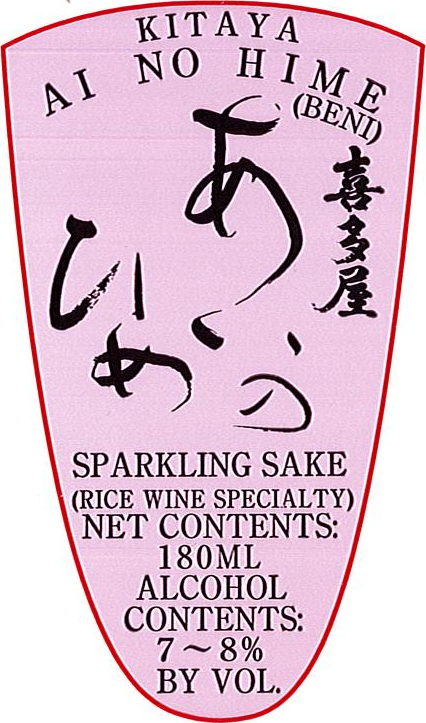 Ai No Hime Beni is a bottle-fermented red sparking sake brewed using 60% polished Yamada Nishiki rice and red koji (Benji Koji). 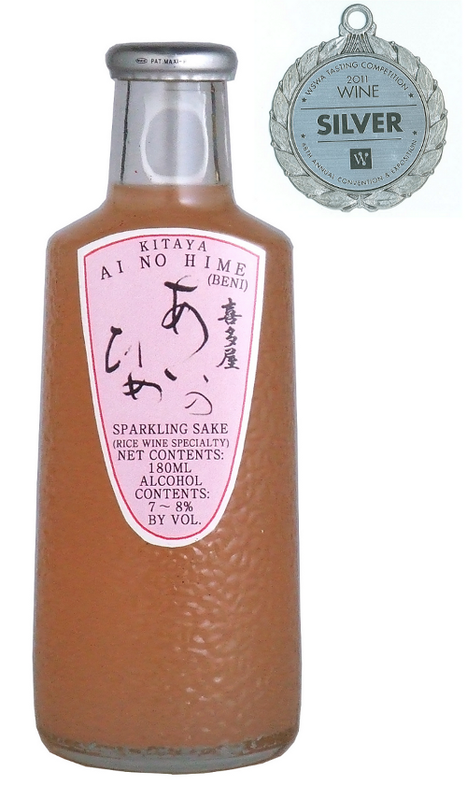 It has a fruity aroma and is perfect as an aperitif. Awarded Silver in the Wine and Spirits Wholesaler's of America 68th Annual Convention & Exposition Wine Tasting Competition. Perfectly Effervescent, Sweet, Rice-Forward, Citrus Fruit Overtones, Clean Finish.